Biomimetic Restorations are in the trend now, saving the tooth structure as well as avoiding root canal treatment in most situations. It is Restoring the Lost portion of teeth with a suitable biocompatible material to make it Mimic the Nature. It can be done directly on the teeth or done indirectly at laboratory and fixed onto the teeth. Direct Composite Restoration (Filling) : It is a tooth coloured bonded restoration done when a tooth cavity is small. Indirect Restorations : In case of bigger cavities i.e., more than 1/3 of the tooth are lost due to dental caries, Indirect restoration is a better and comfortable choice. It is made up of Full Ceramic, Composite or Metal (nickel chromium or gold), according to the Esthetic and the Functional demands. 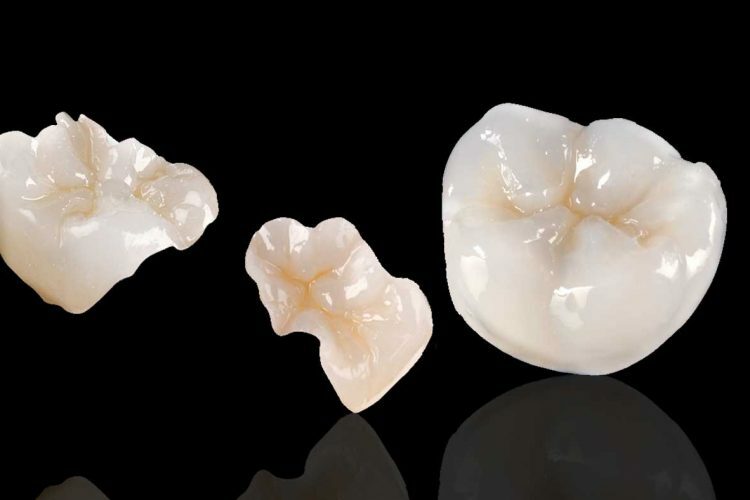 Common indirect restorations include inlays, onlays, crowns, bridges and veneers. INLAY- fits inside the tooth. ONLAY- covers the entire biting surface. OVERLAY – for Root canal treated teeth. CROWNS- encircles the tooth or an implant. BRIDGES- replaces the missing tooth taking support of the adjacent tooth . VENEERS- a thin layer of material bonded over tooth to improve smile and protect tooth surface from damage.